It has been almost seven years since ARI started its operations in Kashatagh and Shahumyan regions of our free and independent Artsakh. 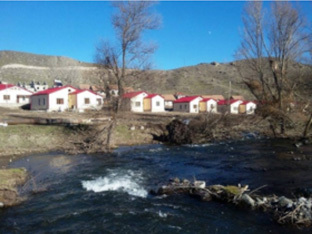 ARI’s name, Artsakh Roots Investment, immaculately describes this organization’s mission; to invest in the liberated lands with the objective of improving the local micro economy, providing housing, and repopulating with newcomers. The people of Artsakh have again and again fought off the forces of their oppressors, and have remained with their roots deeply buried in Artsakh soil despite the violent actions committed against them. It takes a crises to realize the real power of Artsakh’s population, their resilience and their ability to withstand heavy storms. This is why ARI is taking action this instant by planting the seeds that will someday grow into strong roots. In a short period of time, we have managed to attain results that truly demonstrate the significance of ARI and its mission in the development of the region and its people. With even more effort and dedication, these results will one day intensify and give Artsakh and its people the self sustaining power to enforce and secure its righteous and the required internationally recognized borders. Please see below the April newsletter depicting ARI’s recent activities. ARI celebrates yet another exceptional operational year. Elegance and cheers at Indies, as ARI general assembly celebrates its sixth year of ever evolving success. The event was held on March 14th, 2016, and gathered ARI’s shareholders, their spouses, friends, supporters as well as potential shareholders of ARI. The guest of honor was Mr. Ara Haroutyunian, Prime Minister of NKR and ARI shareholder. Mr. Haroutyunian was accompanied by Mr. Karen Shahramanian, Minister of Urban Development, Mr. Alyosha Kaprielan, and Executive Director of Agrofund, Mr. Ashod Pakhshian, as well as the assistant of the Prime Minister for investment projects, Mr. Ashod Makarian. The opening speech was given by Mr. Souren Sarkissian, President of ARI, who gave the audience a brief overview of the achievements accomplished by ARI in 2015. He exhorted shareholders to increase their investment in ARI. His speech is included in the 2015 Annual Report. The keynote speaker of the evening was the Prime Minister of NKR. He spoke very highly of the work done by ARI and the results achieved during the last 6 years. He reaffirmed that the business model created by ARI is unique and provides a win-win situation to the beneficiaries and the investors alike. He reiterated his personal and his government’s continued support to ARI and its initiatives. The Prime Minister, upon his return to NKR, sent a letter of thanks to the shareholder of ARI. On 13 March the Prime Minister met with His Holiness the Catholicos of the House of Cilicia, Aram I, and discussed the socio-economic & political situation in the Nagorno Karabagh Republic. The Catholicos reiterated the importance of the active participation of the Armenian Diaspora in the support of the struggle for survival and development of Artsakh. 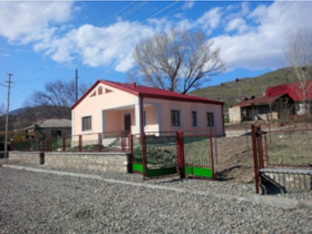 They also discussed the progress in the construction of the "Nor Kilikia" housing project in the Mardagerd region of Karabagh. On 14 March the Prime Minister also attended a round table discussion attended by approximately 30 Lebanese businessmen and industrialists of non-Armenian origin. He talked about the investment opportunities in the Nagorno Karabagh Republic (NKR) and the facilities extended by the government in welcoming foreign investment. The meeting was organized by Mr.Nazo Sabounjian, a board member of the Union of Lebanese Industrialists. 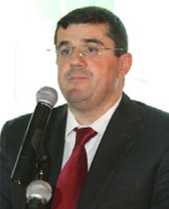 Mr. Sabounjian is a shareholder of ARI since its inception. 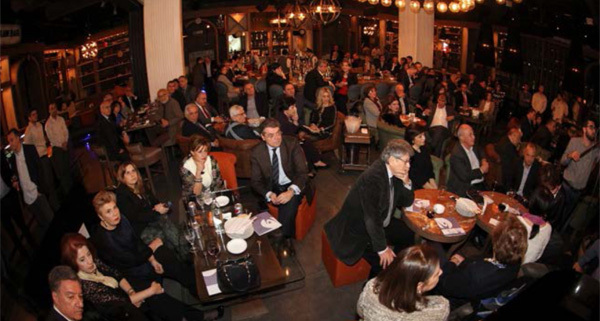 In the relaxed atmosphere of Indie Restaurant-Bar, between sips of exquisite Armenian cognac and mouthwatering nibblers, old and new shareholders met, talked about ARI and shared their information and concerns about Artsakh. It was also a great opportunity to have one-one-one talks with the Prime Minister and his team. Do not hesitate to refer this newsletter to your friends and relatives who always wanted to contribute to the building of a strong nation. They could have a quick, tangible and measurable impact in the field while making government guaranteed interesting returns. ARI’s win-win formula has been tested and proven in active operations for the past six years. 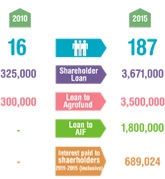 Many of our 187 shareholders have already increased their investments. You could be one of them! The big family of ARI welcomes new members! It was agreed with the Prime Minister to have the opening of ARIVAN on September 2. ARI will organize a trip of shareholders and their wives for the occasion.